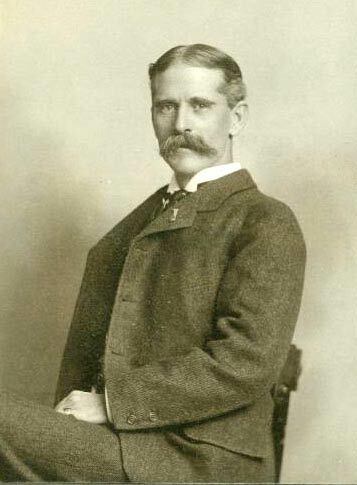 Henry van Dyke was an American author, educator and clergyman, born in 1852 in Germantown, Pennsylvania. He attended Princeton University, graduating in 1873 from then matriculated at the Princeton Theological Seminary from which he graduated in 1877. He returned to Princeton as a professor of English literature, a post that he held from 1899 - 1923 but it was not without interruption. From 1908–09 Dr. van Dyke was an American lecturer at the University of Paris. And in 1913 his former classmate, President Wilson, appointed him Minister to the Netherlands and Luxembourg. As a member of the clergy, Christmas and Easter were a special holidays for Henry van Dyke. He wrote some popular Christmas Stories including; The Other Wise Men, The First Christmas Tree, and Keeping Christmas. 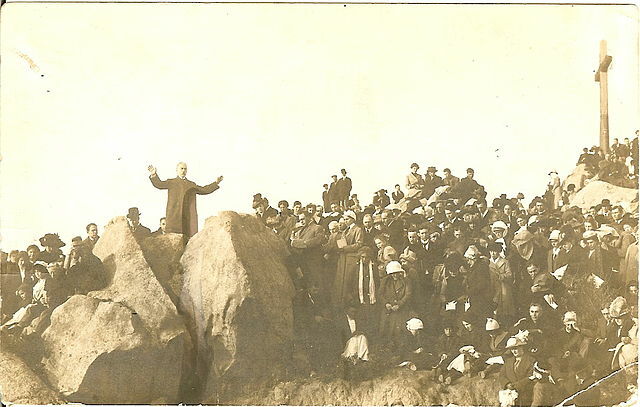 Here is a picture of Henry van Dyke delivering Easter Sunrise services in California, March 23rd, 1913. Henry van Dyke composed several add-on verses to America - My Country, 'Tis of Thee, originally composed by Samuel Francis Smith in 1892. It was America's de facto national anthem until The Star-Spangled Banner was officially adopted in 1931.